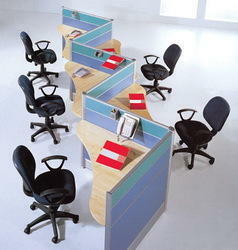 We are leading service provider of OFFICE WORKSTATION Chennai. 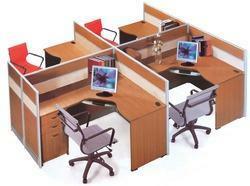 Keeping in sync with the ever-changing demands of the customers, we are engaged in bringing forth the clients an impeccable array of Modular Linear Workstations. Aesthetically designed under the strict supervision of experts, these workstations are provided with push-back chairs that possess padded backs and are covered with cushions.